Buying and restoring a historic property can be an exciting experience. Finding the lending for such a project can be more of a challenge, since lenders tend to look closely at a property and its immediate value, instead of historic value, before giving out a loan. Fortunately, there are state and federal programs that assist those looking to buy historic properties. Applying for an historic property home loan is largely the matter of some research and planning to ensure that you get the best loan for the property that you plan to buy. Contact the Federal Housing Administration (FHA) about Rehabilitation Mortgage Insurance. This mortgage insurance program can provide loan opportunities for those who are buying historic properties for the purpose of restoring them. The key to this program is that the property you are purchasing must represent your primary residence: the FHA does not insure mortgages for investment properties if the buyer already has a primary residence. Additionally, the Rehabilitation Mortgage Insurance Program is slated largely for urban renewal programs, but the urban renewal can apply to communities with historic homes. Be sure to check, in case the property that interests you falls into this category. Contact your state Historic Preservation Office (SHPO) to find out about options for historic properties. Each state Historic Preservation Office is part of the National Trust for Historic Preservation. If the property that you are interested in buying is located in a district undergoing or marked for historic preservation, the SHPO will be able to direct you to funding options through private lenders and grant foundations. 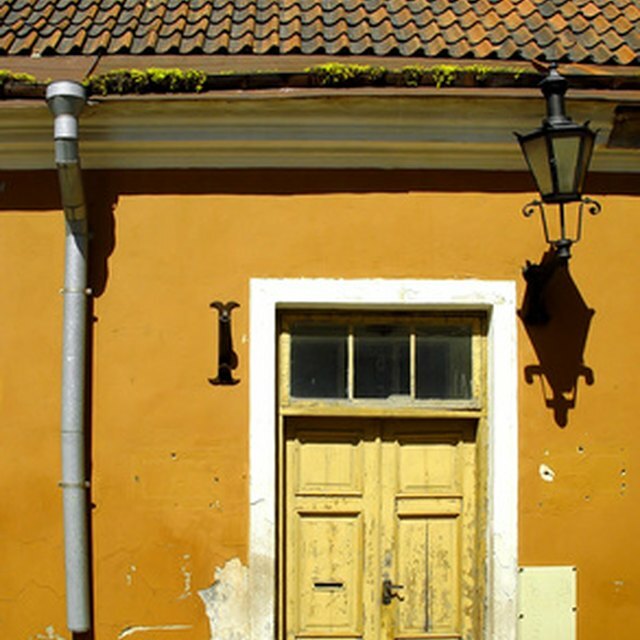 Provide the full details about the property, as well as your plans for restoring it, to let the SHPO know that you are serious about maintaining a valued historic home. Contact your local preservation office to see about financial assistance options. Large cities often have preservation and restoration commissions that offer funding to those interested in purchasing historic properties. Again, provide the office or commission with all necessary information about your restoration plans for the property. Apply for federal and state tax credits. Properties listed in the National Register of Historic Places or the National Register of Historic Districts are eligible for a 20 percent tax credit. States also offer tax credits as high as 30 percent for privately-owned historic properties. Bear in mind that the FHA insures home loans but does not actually provide them. To apply for the actual loan, you will have to go through an FHA-approved lender to complete the process. Some historic properties fall within recognized historic districts and must follow strict restoration guidelines. For instance, buying a house in a historic district of Boston might require that you plan to paint it certain colors or forego anachronistic additions. Check with historic district rules before presenting your restoration plans to a state or local committee.